David Rivera I am validating that this deal works as described. 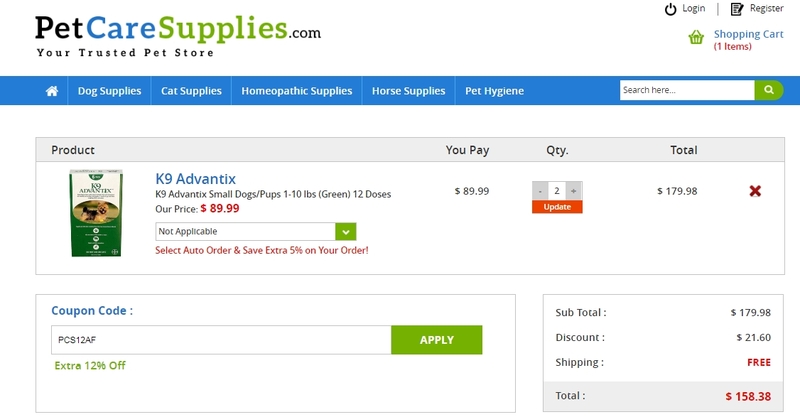 Enter code and Get 12% Off on Your Order at Pet Care Supplies. This is a limited time offer. orlando medina I am validating that this deal works as described. 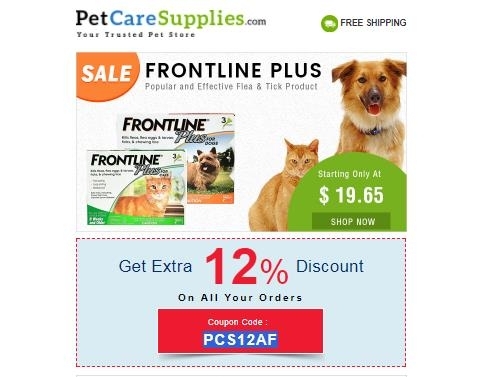 Enter code and get 12% Off on Your Order at Pet Care Supplies. This is a limited time offer. 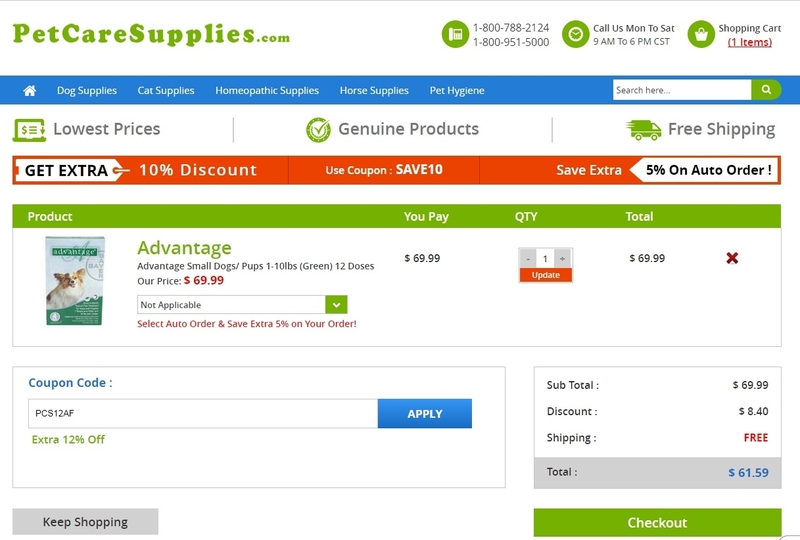 kristin To get the Discount simply enter the Promo Code PCS12AF at the checkout. There may be some exclusions that will apply to this deal. Vanessa At. I can confirm that this deal works as described. 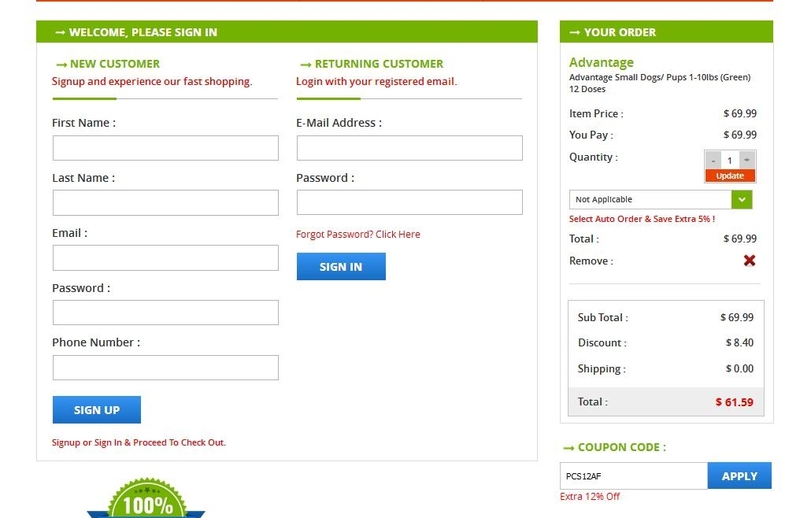 Just choose your desired products to add to your cart and apply the code at checkout to get 12% off on your order. 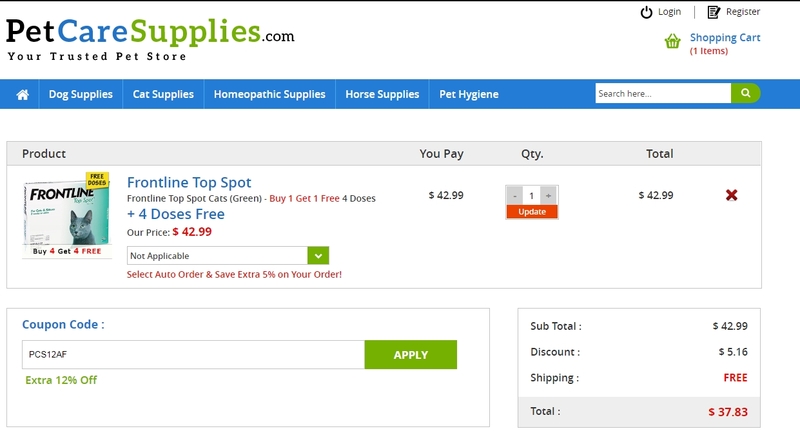 luis alberto Tested this promo code and verified that it works as described. 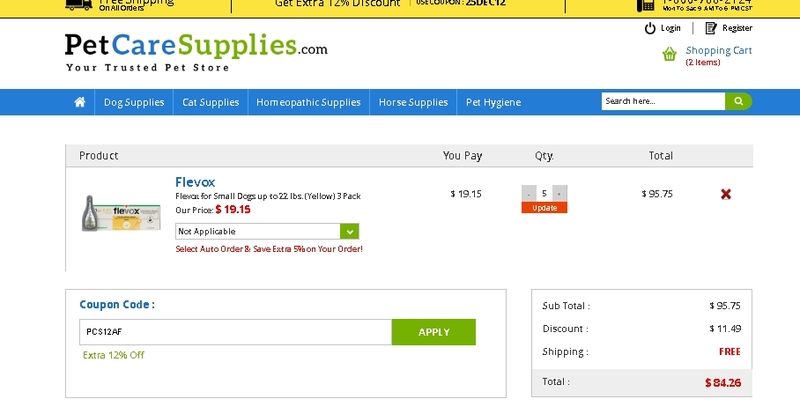 Good deal, add your item to cart, enter promo code and get 12% Off Any Order at Pet Care Supplies.